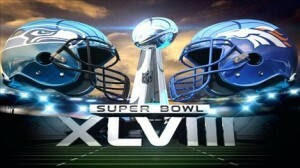 It’s Super Bowl Sunday and you want to get together with some of your friends to watch the game – and the commercials. You make the wings, someone’s bringing pizza, and you have plenty of ice cold beer in the fridge. You’re all having a great time. But at halftime you decide to go home. You’ve been drinking. You have been together for a few hours with friends and you’ve lost track of how much you’ve had to drink, but you know it’s more than one. Depending on your size and how much food you’ve eaten, by halftime you could be well over the legal limit in New Hampshire. And if you venture out on the roads, you’re setting yourself up to be pulled over, cuffed, and instead of seeing how the game ends, seeing what the inside of a jail cell looks like. On Super Bowl Sunday the police will be out in force looking for impaired drivers. If you are pulled over and the officer thinks you’ve been drinking you’re likely going to be asked to take field sobriety tests. He might also ask for blood or breath tests. And if the officer has any reason to think you are impaired to any degree, you’re likely going to be arrested for DUI or DWI, as it’s known. First, before you even start making the wings, come up with a game-day plan to make certain you, your friend and your family will all arrive and return home safe. Putting a sober-driver plan in place before you start drinking will help to keep you and loved ones out of trouble once the celebrating begins. Some people believe that by keeping track of their drinks, and drinking no more than 1 drink per hour, is a safe bet that will help them avoid a DUI. Think again — once a police officer detects an odor of alcohol, and you admit to drinking, chances are you will end up being arrested for DWI. Why take the chance. The best approach to avoid a DUI on Super Bowl Sunday–pick a designated driver long before kick-off. Having a sober driver is the easiest way to avoid any DUI or DWI arrest. And if you still want to leave at halftime — call a cab. You may have to wait for it to arrive, but that will give you a chance to eat some more of that tasty dip your friends made.